TAL is a trendsetting company in high-end lighting instruments of a superb quality. We want to do much more with light, light is not only an amount of photons, light is life. Our products are good examples of a perfect mix between emotion and a technical product. The most important aspect of our philosophy is creativity, even in the choice of a simple screw. All development is done in house by a specialised team. It’s easy to recognize a TAL product due to its outstanding finishing. 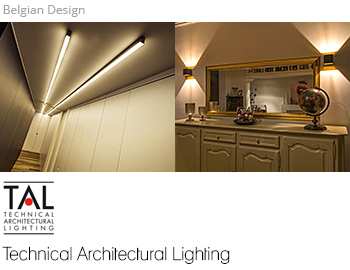 TAL products are tools to design light because light matters.